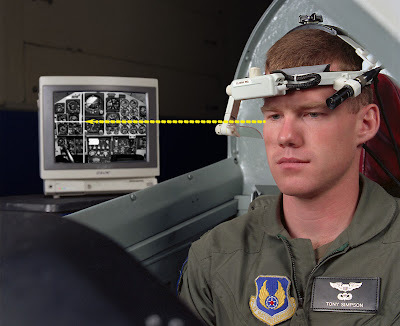 Now a day’s eye tracking is a very useful method to collect data. It is easy to collect quantitative data via eye tracking and the data can also be evaluated qualitatively.Eye tracking is the process of measuring eye positions and eye movement and the motion of an eye relative to the head or where we are looking. Eye Tracking technology is used heavily in usability research, Where people are looking on a webpage, and how do their eyes move around it. And this technology will be combined with augmented reality to create a near-invisible and natural user interface called information glasses. And can be integrated with a large TV display to create a natural user interaction. Eye Tracking allows the user to engage with the display. The user can control the intelligent user interface using their eyes, hand movements, and voice commands. Eye trackers are used in research on the visual system, psychology, cognitive linguistics and product design and it is also a useful method when researching, for example: reading process or traffic behavior while driving. It seems to be clear that the right kind of settlement on the search interfaces matters. So, finally collecting data via eye tracking and analyzing the data is one way to improve usability and searching process on the WWW pages.